Do you wish you can flaunt your long and deep-hued lustrous hair? Instead, do you have to contend with a head of hair that is listless and graying, adding years to your age? This is an eternal problem faced by millions across the world and the proposed solutions are many. But what actually works for something as delicate as your hair and scalp? There is a deluge of products out there that promise the sky, but you have to choose wisely. When you look for a hair-related solution you need to stay informed on the basics. Learn about the importance of scalp health, identify possible side effects, and read about the ingredients that are there in a product. There is always a way to fix the problem of gray or weak hair. Some of the best quality products are formulated by experts after years and years of experimentation and research. So why does your hair turn gray? There is no mystery behind this – it is all chemistry and related to the aging process. Other factors like genetics and stress can also factor in. Reduced pigmentation causes hair to lose its original color and turn white (a state of being without any pigmentation). Grey hair is a sign that the pigmentation is reducing. This pigment is melanin and it defines the original shade of your hair, whether brown, light or black. To be more accurate, your hair color depends on the ratio of eumelanin (responsible for dark shades) and pheomelanin (lighter shades). White is actually the original color of hair and melanin is the compound that you should be interested in. Melanin itself is made up of cells called melanocytes which are found at the follicles, where the hair grows out of the scalp. Normal hair growth happens in three stages – the first stage is when the hair fiber is strong and constantly growing – this is the stage for most of our hair and is called anagen. The catagen stage is when hair growth pauses temporarily (close to three weeks sometimes). The third stage is the telogen stage when the hair stops growing and falls out. These three stages happen in a cycle for each individual hair and if your hair is healthy, the replacement process is uninterrupted. The hair follicle is the other major player in hair growth. Think of it as a hair factory and you have thousands of them on your scalp. This hair factory has its own lifecycle – it is possible that its output wanes with time and other factors. When that happens, there is less melanin produced and melanin production reduces. What happens next? Well, you guessed it – the grays and silvers start showing up above our faces. So, what influences the production of your hair pigments? As mentioned above, age and genes are strong influences. This is why gray hair and hair loss can run in the family. Hormones are another factor in the graying (or non-graying) of hair. A few external factors can also determine whether you can hang on to your original hair color longer. Climate has an effect on hair growth – warm climes and reduced exposure to the harsh sun keeps the hair production cycle optimum. Add nutrients to that – if your body is not getting the right food, your hair suffers. 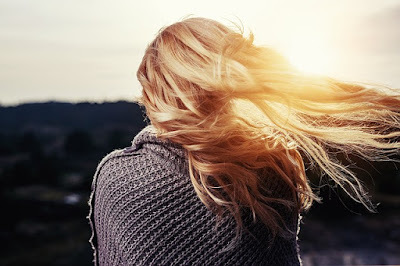 Air pollutants can harm your hair and there are many toxins in cosmetic products that can have an adverse long-term effect on your hair pigmentation. Now that you are armed with the basic knowledge of how your hair functions, you will have a better grasp of things when presented with hair care products. Nowadays, Chromaviv has been receiving a lot of attention from the hair experts. This specially formulated compound acts on the mechanisms that produce hair pigments, replenishing the cells and follicles of the scalp. It is recommended for adults and products with Chromaviv are continuous-use items. The best products improve the scalp health and encourage follicles to produce the required pigments and cells for optimal hair growth. As a result, your hair will regain its volume and thickness and of course, its original color will start to come back. Stronger hair with more luster and shine means that you do not have to head to the salon too many times. This saves you money and time too. Your beautiful hair can help you make an entrance and try different looks. It is a confidence booster and sign of an overall healthy lifestyle. Do not ignore the signs when you are seeing some grays. Combat it with the best products and relish the results.